New York State has a law, New York General Business Law Section 518. It deals with how a merchant may post a pricing sign when there are two prices for the same goods – one if paying with cash, and one when paying with a credit (debit) card. This law raised a First Amendment issue, one that worked its way up to the United States Supreme Court and back to New York State courts. So, why will it be discussed on a real property blog site? It is because Ruminations is fascinated, some might say obsessed, with how a literal reading of text doesn’t always turn out to be its applicable meaning. So, it doesn’t matter whether the issue comes up in a contract or a law. Courts don’t have two sets of rules. Yes, some rules may not apply when looking at one category or the other, such as the use of “legislative history” when looking at a law. But, the analogous rule for interpreting words in an agreement is the parties’ “course of conduct” or “negotiation history.” In every case, the goal is the same: find the intent behind the text. No seller in any sales transaction may impose a surcharge on a holder who elects to use a credit card in lieu of payment by cash, check, or similar means. That seems pretty simple. Credit card holders can’t be charged more than cash buyers. Yet, that’s not what the law really means. Courts, and now everyone, agree that merchants can charge different prices and the law only governs how those prices may be posted. Readers, does that interpretation jump out of your simple reading of the New York statute? Well, the key is in use of the word “surcharge.” Believe it or not, we learned that from a 2017 United States Supreme Court decision. It turns out that New York’s statute was enacted when a very similar federal law expired in 1984. The federal statute defined and distinguished between a “discount” and a “surcharge.” “Discount” meant a reduction from the “regular price” and specifically, the term “discount … shall not mean a surcharge.” In contrast, “surcharge” was defined to mean “any means of increasing the regular price to a cardholder which is not imposed on” cash customers. Each definition relied on something called the “regular price,” but that term was undefined in the original statute. [T]he term “regular price” means the tag or posted price charged for the property or service if a single price is tagged or posted, or the price charged for the property or service when payment is made by use of . . . a credit card if either (1) no price is tagged or posted, or (2) two prices are tagged or posted, one of which is charged when payment is made by use of . . . a credit card and the other when payment is made by use of cash, check, or similar means. New York’s statute does not include any of these three definitions. So, how does it work? Basically, if a piece of merchandise has a price tag showing just the price, that is the “regular price” and to charge a credit card purchaser more would be to impose a surcharge. But, if the tag said the price was for credit card purchases (with or without a second, “cash” price, then the credit card price is the “regular price.” Hence, there would be no surcharge for credit card payers because they would be paying the regular price. [It] regulate[s] . . . how sellers may communicate their prices. A merchant who wants to charge $10 for cash and $10.30 for credit may not convey that price any way he pleases. He is not free to say $10, with a 3% credit card surcharge or $10, plus $0.30 for credit because both of those displays identify a single sticker price — $10 — that is less than the amount credit card users will be charged. Instead, if the merchant wishes to post a single sticker price, he must display $10.30 as his sticker price. . . . In regulating the communication of prices rather than prices themselves, § 518 regulates speech. And, that’s why Ruminations has chosen to use the decision that can be seen by clicking: HERE as the basis for today’s posting. Alice in Wonderland has nothing on many leases we read and write. 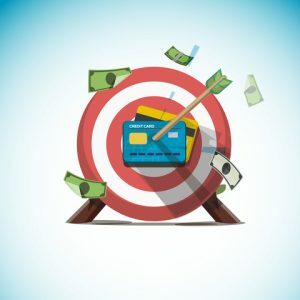 In the credit card pricing law, the law could have said that merchants could charge a different price for cash sales than for credit sales, but that the tagged, advertised or posted price had to reflect the amount to be paid for credit card sales. The object of the law was that consumers would pay no more than the posted price but discounts could be given for customers paying with cash. But, the law didn’t. Readers: could you have written a better statute? If so, how about putting similar effort into our own documents? In the week to come, a slow one in the transactional world, why not re-read our most frequently used document with a fresh eye? And, then, let’s make then say what they mean and mean what they say.